Not sure if it was the recent ‘Back to the Future Day‘ or that 2015 is quickly coming to an end, but we have been very interested in the future lately. Specifically, the future of social media marketing. After several failed attempts to construct a time machine, we decided to do the next best thing: reach out to the smartest minds in the digital marketing industry. 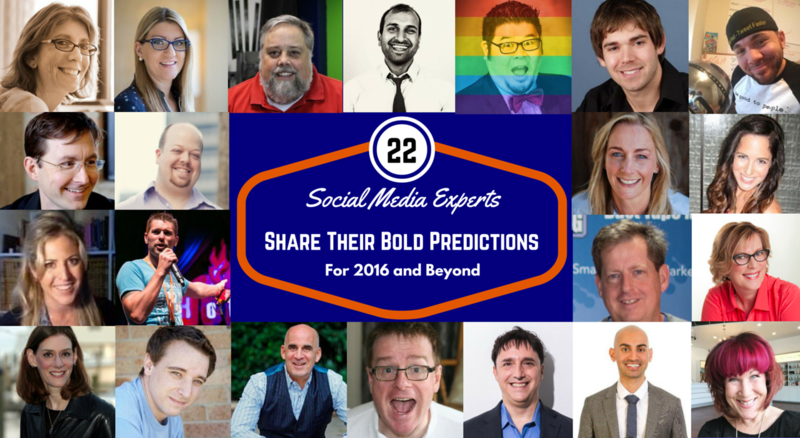 What is your boldest prediction for the future of social media marketing? The predictions we received were so good that for just a second we actually felt like we were in the future. So, if you are ready, go ahead and step into the future of social media marketing as predicted by the experts. 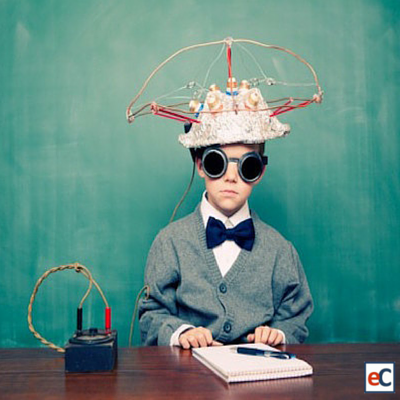 “Social media marketing is going to be less about content curation and more about content creation. We’re seeing hints of this with the reintroduction of Facebook notes, and the recent rumors that Twitter is building a new product that allows users to share messages longer than 140 characters. For too long businesses have gone on autopilot with social media. Consumers are sick of seeing the same link-baity garbage sprinkled throughout their newsfeeds. They want more heart. They want more originality. These updates are going to give businesses and brands the opportunity to invest in the human side of social media again. “My prediction for the future of social media is all about transparency. Customers want direct communication with companies now, and they want transparency in the process. This is why videos, live streaming, and live chats are so important. Whether it’s keeping people up to date on delays, availability, mistakes, upcoming products, company changes, employee insights, and more, customers want this information in real time. “Social media marketing has grown up a lot, but we’re only just now starting to cross over into it becoming serious and necessary element for all businesses. While you may have been able to get away with not having a branded social media presence for some time, consumer habits are changing and those that fail to change with them will quickly fall behind, in all sectors. How this evolution will manifest in 2016 will be through a wide scale shift in marketing and communications mindset. Programmatic targeting will become more important, data and analytics more mainstream. “Looking forward, social media entities will continue to mature into full-fledged media entities. Don’t agree? Check Facebook’s ever-growing advertising revenue stream based on increase number and price of ads. Increased social media marketing spend. Marketers will need to support their social media presence with tailored content, better distribution using paid tools and technology and social media advertising. Translation: Increased marketing spend. “I predict that, very soon, we will begin to see real retraction in the social media industry. We’re in a period right now where we’re still seeing multiple new platforms birthed, with plenty of room for growth. Even the largest social network, Facebook, is still growing, adding millions of new users each month. That won’t last. Soon, consumers will not just say they’re weary of trying new networks, they’ll express it through an utter disdain of anything new. New platforms will see so much struggle to gain traction that they’ll quickly fold, and that will lead to extreme caution on the part of investors. Without investors to back them, ideators will find it hard to build solutions for perceived problems. Instead, the remaining networks will continue to evolve and expand their offerings. “For marketers thinking about approaching social media from a networking and community building aspect rather than a marketing and sales aspect can be very difficult. Brands need to attract customers, but breaking through the clutter is challenging. Every day brands and marketers are spending millions trying to get you to use, keep using, and share that you love their brands. But why aren’t they doing everything they can, and using some of those millions to do it (probably way less that they are spending on those marketing campaigns), making experiences with their brand remarkable? “Automating certain tasks on social media isn’t anything new, but I think we will be debating the ethics of some forms of automation much more readily in 2016. I love some forms of automation, but I’ve never been a huge fan of automating engagement, however we’re now entering an age of robots and artificial intelligence and the landscape is about to change. There are new artificial intelligence tools that are starting to do a very good job at intelligently engaging with users on social media- so much so that the individuals aren’t even realizing they are speaking with a robot! “I think there will be two big trends emerging for social media in the coming years. The most impactful social media trend I see moving forward will be social media buying power. It has already begun on channels like Pinterest, but there will be a huge rise in e-commerce on social media networks that makes products instantly available and easily accessible. The hunt for seeing something online and trying to find out where to buy it will be over. For more on these key trends, click here. Want more content like this delivered directly to your inbox? Subscribe to our blog below! What an honor to be included with such thought leaders. Thank you! So glad you were able to participate Stephanie! So happy with how the post ended up. Great predictions from even better people. Some really interesting opinions on what’s to come. I hope we can reconvene next year and see how many of our predictions were spot on. You read our mind! We are already planning to have a post towards the end of next year that evaluates these predictions. So happy you were able to participate. Thank you for including me along with so many other great social media experts. I am honored! You are very welcome! Betsy Kent had a great idea that we should reconvene next year to see how many of these predictions came true. Already looking forward to it! We’re got 2 trends out of the 5 [Real-Time Engagement + Social Selling] 🙂 not bad!